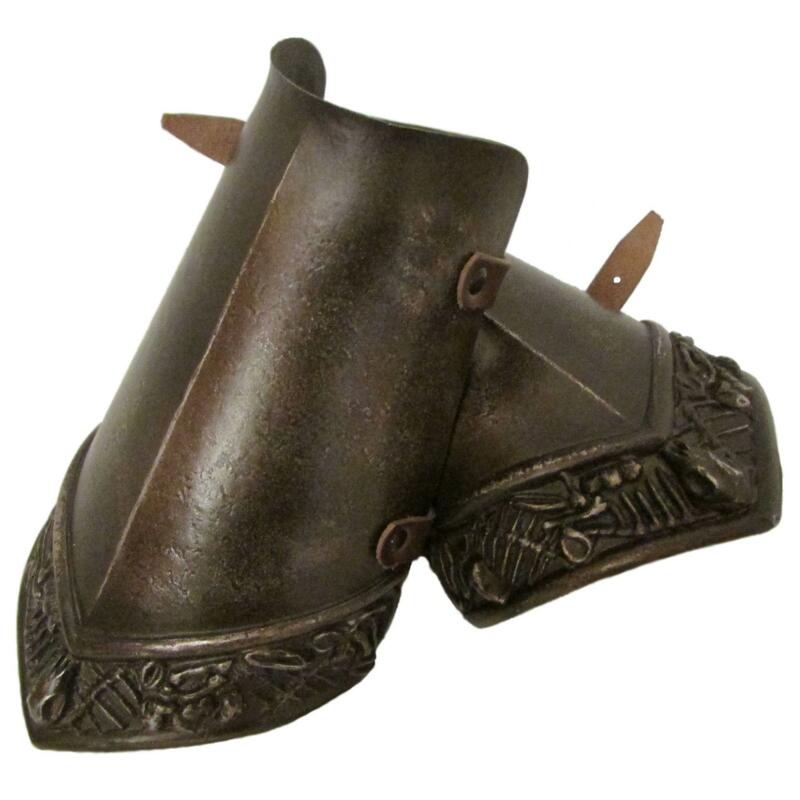 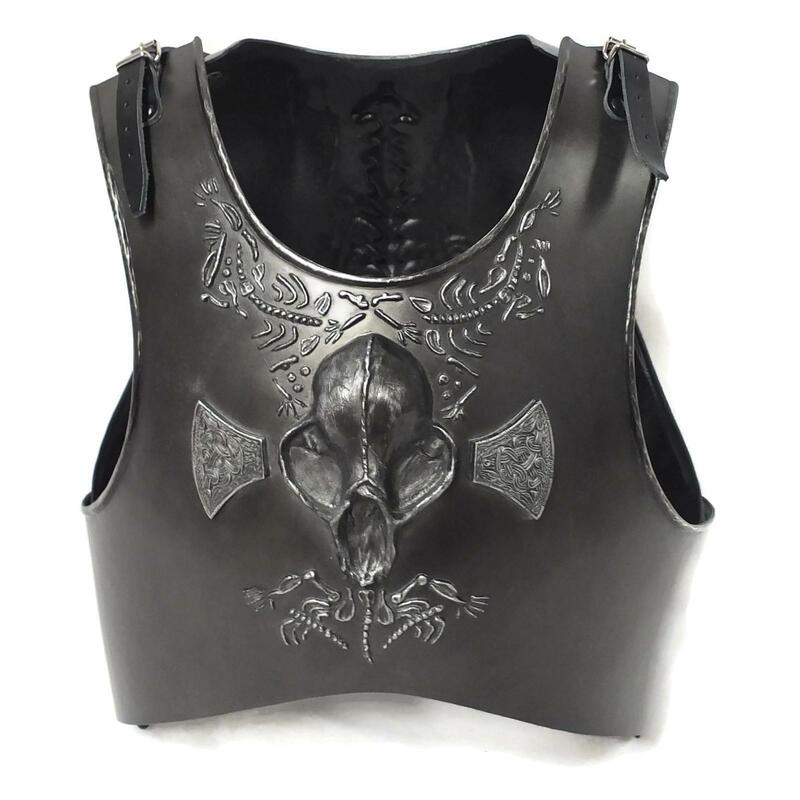 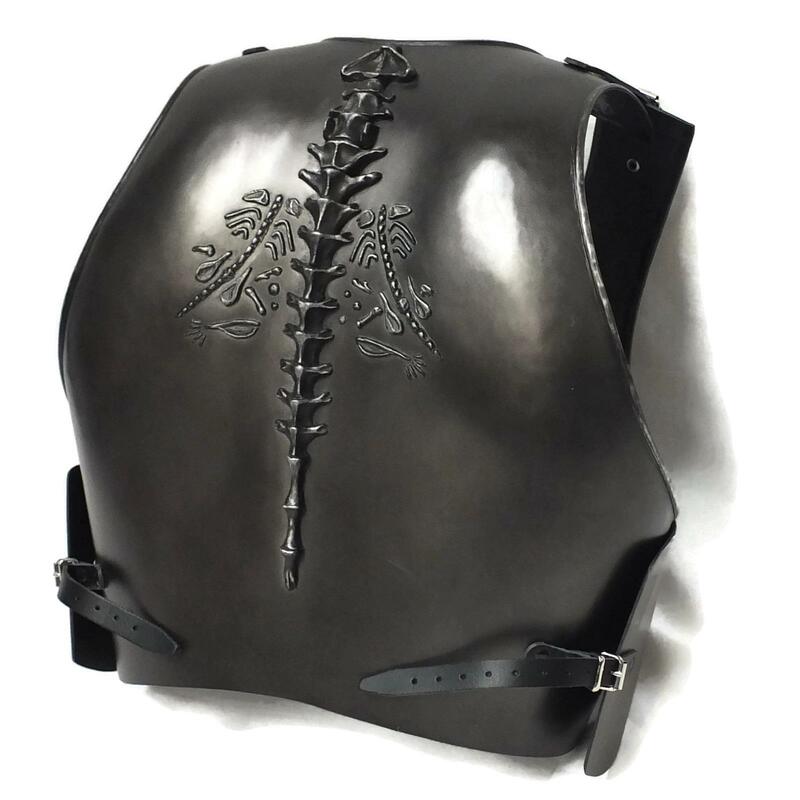 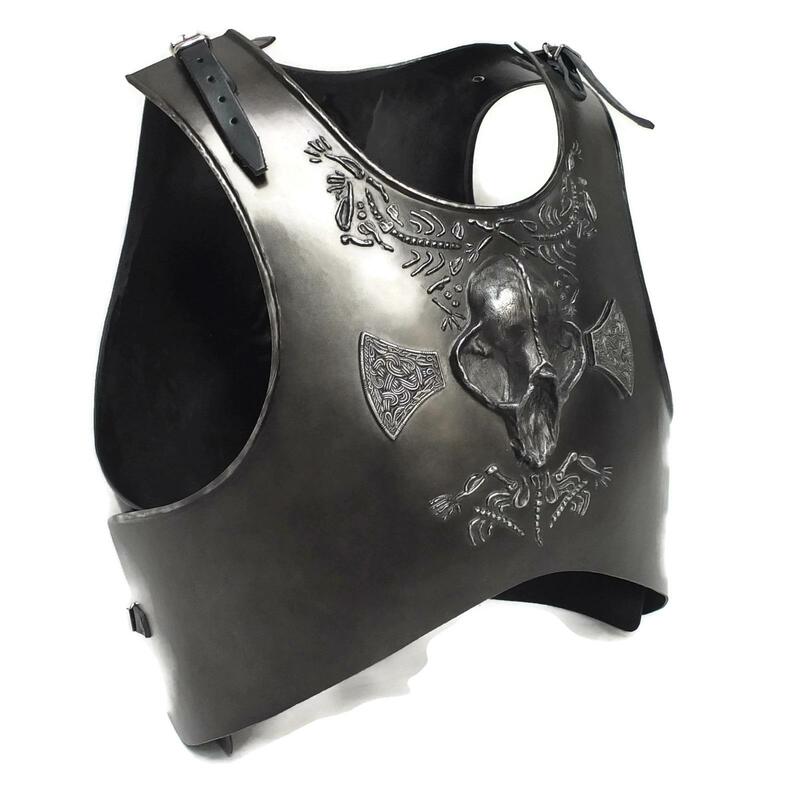 Fantasy Breastplate with Charnel design. 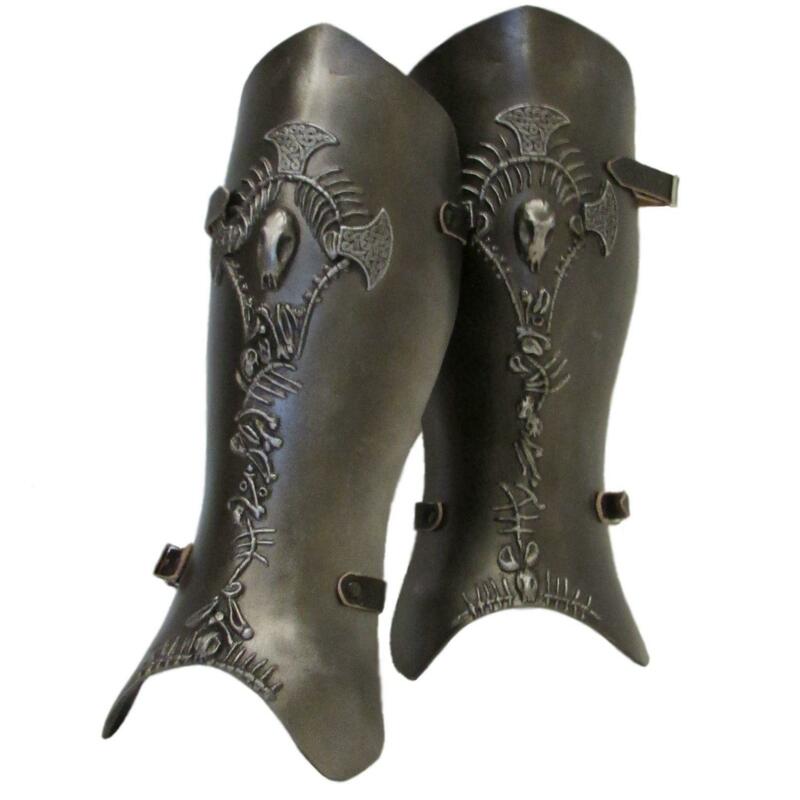 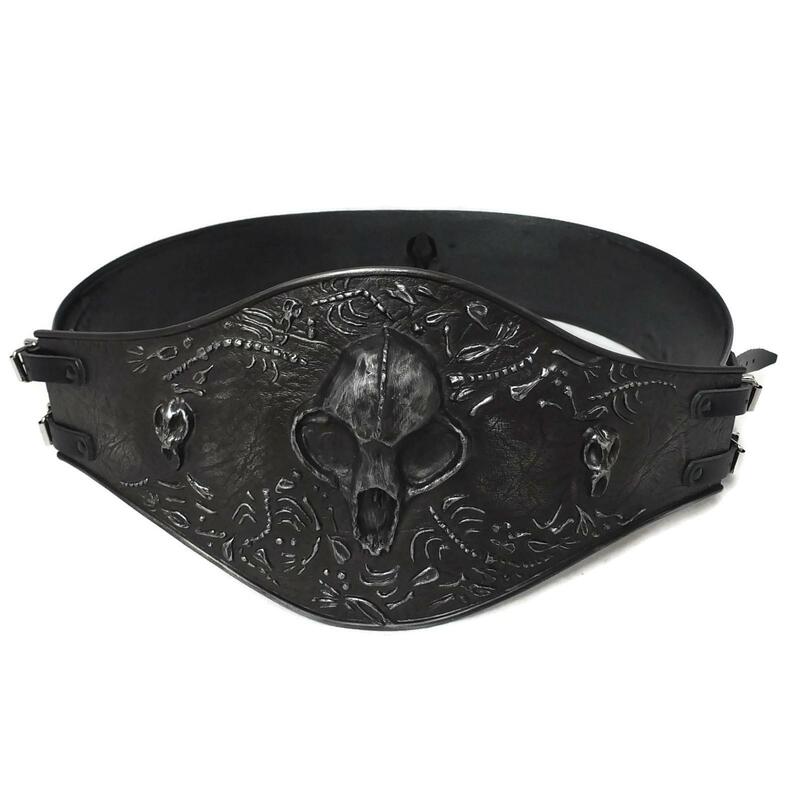 Matches other Charnel design pieces which can be purchased on this website. 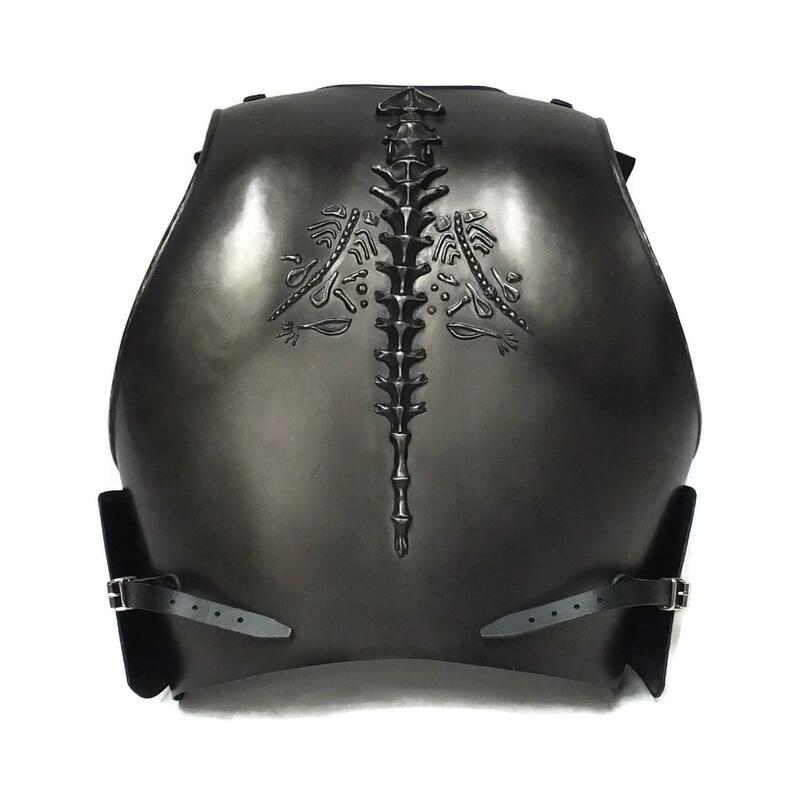 With sides meeting will fit chest size up to 47" (120cm) however can go smaller or larger by adjusting the straps and allowing for overlap or a gap at the sides.